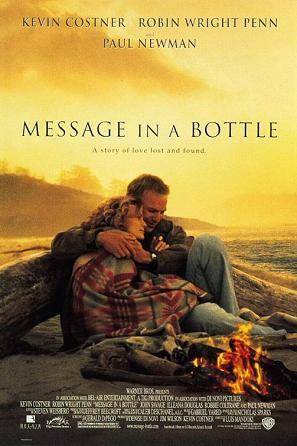 A woman finds a bottle washed up on a beach that contains a love letter to someone who is deceased. She decides to try to find the writer of the letter.Once she finds him they begin to develop feelings for each other. He however is still struggling with the grief he has over the death of his wife. Will he be able to overcome his grieving to move on with his life? Movie Still from "Message in a Bottle"
3 stars for "Message in a Bottle"
Wouldn't you just love to find a message in a bottle washed up on the beach? A message that holds something moving or sentimental or even holds a distress S.O.S message? Wouldn't it just thrill you and give you a sense of adventure. Perhaps it would remind you of sailor stories or pirate tales of old. The movie "Message in a Bottle" does hold some of that thrill and adventure. It truly only holds that feeling though in the beginning of it's scenes when a woman named Theresa originally finds a message in a bottle washed up on a beach she's jogging on and she begins to search for the writer of the heartfelt and moving love letter contained in the bottle. 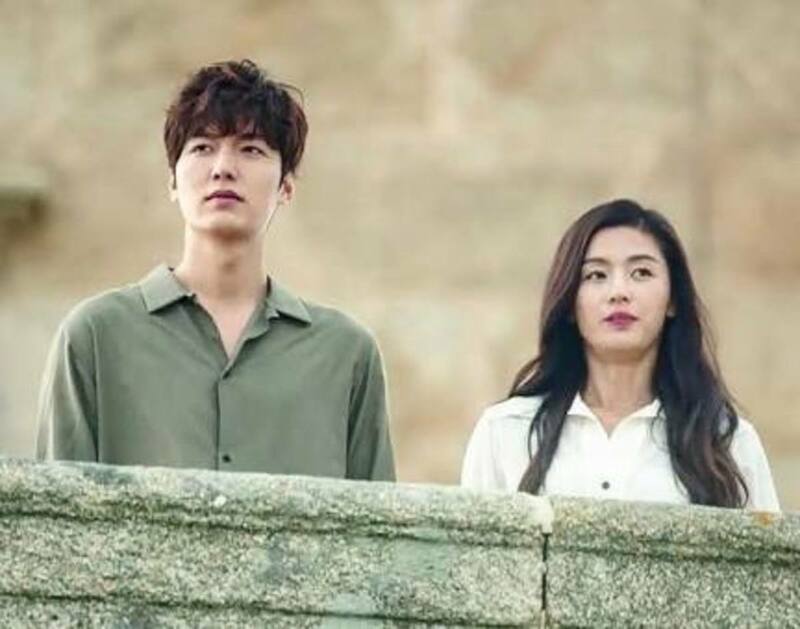 After her search is over and she locates the lovelorn grieving widower who penned the message the movie gets a little shaky, but is bearable and gives the viewer a decent love story ala Nicholas Sparks. Starting off the movie with a message being found in a bottle on the beach was an ingenious beginning. It grabs the viewers attention and immediately you invest yourself into the plot as you are curious about the strange message.You want to know what happens next. The scenery is lovely especially the beach scenes. My one issue with it is the setting in the book the movie is based on is set in the Carolinas not in Maine. It's obvious too that the movie takes place in Maine. The acting is all excellent. 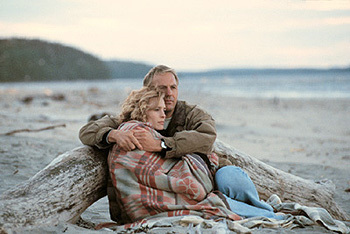 The best performance though is from Paul Newman as Garrett's dad. He's just so lovable and funny! I always looked forward to his scenes. This may sound like an old and worn out issue, but it's a little annoying that they diverted away from the book with the movie in quite a few ways. The setting is certainly not in Maine, although it is pretty where they did choose, but still. And the ending is very different and way more thought out and moving in the book versus in the movie. The movie made the ending seem so jumbled and messy. It doesn't end as beautifully as the book did by far. Women will likely enjoy this movie the most, especially fans of Nicholas Sparks. I think this movie is decent if you like chick flicks and romance genre movies. It's not the very best, but I think it gives some interesting story points and I always appreciate Robin Wright in many of her movies. She just has a very expressive and lovely face. Kevin Costner is alright in this. He's nowhere near as charming as Paul Newman is in the movie even though he is the romantic male lead. If you want to have a girls night with your best girl pals this might be a good movie for you to watch. I highly don't recommend watching it with a boyfriend or spouse. They likely won't be that impressed by it. Why? Well because they probably aren't a moody, dreamy boatbuilder and will resent that you enjoy watching movies about such characters. 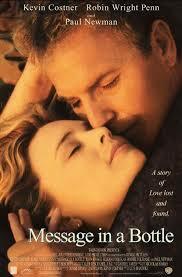 What's your favorite Nicholas Sparks book to movie adaption?